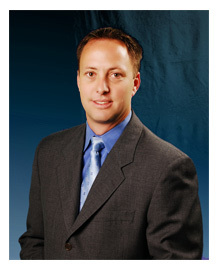 Lawyer John C. Belt understands your concerns about protecting your assets through a divorce. You may have questions especially if you and your family have considerable wealth. If you have retirement accounts, a stock portfolio, family trust, and other financial investments including property, having a skilled attorney to negotiate the worth of these assets is crucial. You may be a business owner going through divorce. You may have a joint retirement account and wonder how that will be divided. You may be concerned about how your children will inherit your wealth without your ex-spouse interfering. Perhaps you have discovered that your spouse had hidden assets and you want to know how these might be accessed. These are all questions that Scottsdale high asset divorce attorney, John C. Belt can answer when you contact the Belt Law Firm online or call 480-837-3600. When great wealth is part of a divorce, the emotional anxiety and stress can increase as well. When great wealth is involved, former spouses may be particularly aggressive in their negotiations. Your divorce attorney must be diligent in their study of your assets and all your financial details. No facet of your financial life can be left to chance. How are interest and capital gains divided for investments created prior to the marriage? How is money inherited—prior to the marriage—divided or protected? What happens to 401k investments? Will all assets be included when determining spousal maintenance or alimony? If properties lost value during the marriage, will debt be divided? We are business owners together. How do we divide the business? 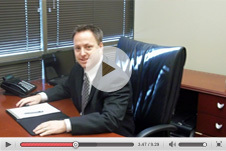 How do foreclosures or bankruptcy influence divorce proceedings in Arizona? The list of complex questions goes on. For answers to all of your questions and for an attorney who can assist you with the most complex divorces involving high assets, contact Paradise Valley family lawyer, John C. Belt. With more than seventeen years of experience and close relationships with the right financial experts, the Belt Law Firm will defend your rights and protect your future economic security. For answers to all of your questions and for insight on how to protect your rights, call 480-837-3600.